A Commonwealth supported place (CSP) is one where the student fees are substantially subsidised by the Australian Government to ease the student’s financial burden. Students pay what is called a ‘student contribution’ and are given the option to utilise the HECS-HELP loan scheme to pay their contribution. 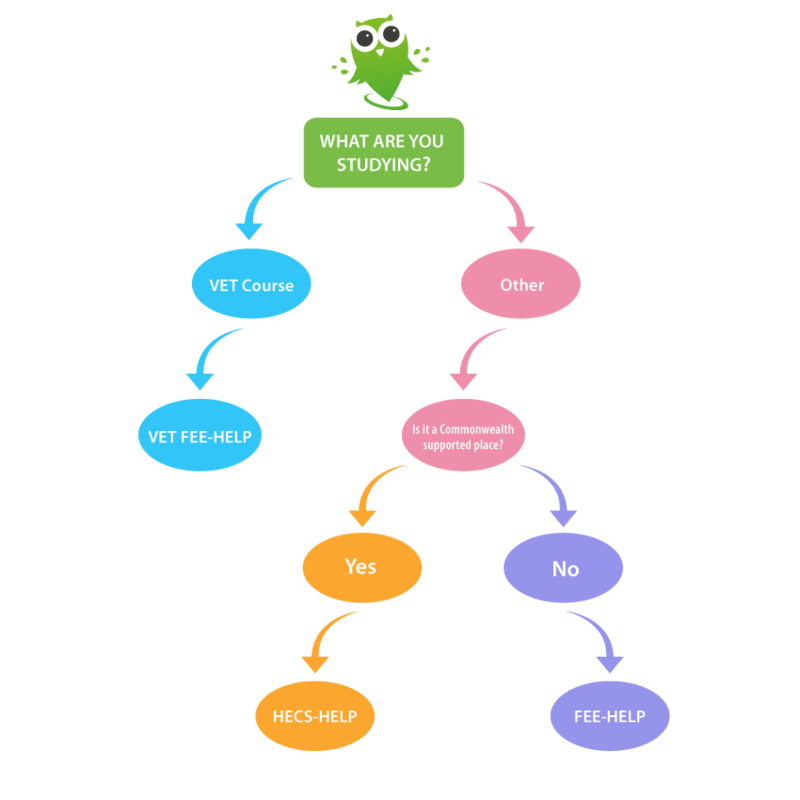 HECS-HELP (formerly HECS) is a loan scheme available to eligible students studying in Commonwealth-supported places at a higher education institution. FEE-HELP is a loan scheme available to eligible students who are studying a higher education course not covered as a Commonwealth-supported place. Austudy: Financial assistance for students who are 25 years or older, studying full-time in an approved course or undertaking a full-time Australian apprenticeship, and who meet personal income, assets test and residence requirements. Abstudy: Financial assistance for Aboriginal or Torres Strait Islander Australians who meet residence requirements and who are enrolled in an approved course or Australian apprenticeship, not receiving any other government assistance to study or complete an apprenticeship. Youth Allowance: Financial assistance for Australians under 24 years old who are studying full-time, undertaking a full-time Australian apprenticeship, training or looking for work. Some course providers offer private financing to assist students through an interest-free payment plan. There is a range of scholarships available to students through providers, businesses and the government. Be sure to search for scholarship opportunities online to see what you may be eligible for. There are sites available such as the Australian Government’s Study Assist website to help you search for specific scholarship opportunities.